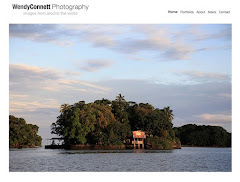 Wendy Connett has been a journalist for more than 20 years and a freelance travel photographer for more than a decade. She travels the world to photograph the people, landmarks, celebrations and lifestyles as well as the back streets and every day life that make each country unique. When not on the road, Wendy lives in New York City. She often falls in love with places, typically cities, at first sight. But no matter how many times she tries to leave it, Wendy always return to her first love New York. Wendy also works with non profit organizations through Global Eye Media, a company she founded to collaborate with people who do good for others.